The European Commission has until the 5 June 2016, at the latest, to submit reports on the transposition of the new EWC Directive to the European Council of Heads of State and Government, and to the Parliament in Brussels - as stated in the provisions of Article 15 of this very Directive. But that is not all; in the subsequent sub-paragraph: the European Commission "should make appropriate proposals where necessary", so a new revision is on its way. In preparation for this report, the European Commission is now already planning an evaluation of the practical problems with the implementation of the new EWC Directive. The foundations for a considerably improved legal environment for European works councils will therefore most likely be laid down in the course of 2015. This coincides with the so-called "Fitness check" in several Information and Consultation Directives, which under the pretext of dismantling bureaucracy could lead to an erosion of employee rights. The outgoing EU Commission submitted an interim report on the subject in June 2014. Apart from this Fitness check the European Commission would also like "to consolidate" several legal acts on employee Information and Consultation by standardizing definitions and smoothing out any differences. This includes particularly the Directive on collective redundancies from 1998, the Transfer of Undertakings and Protection of Employment Directive from 2001 as well as the General Framework for Information and Consultation Directive of employees on a national level from 2002. Furthermore, the Directive on Employee Involvement in the European Company (SE) from 2001, the Directive on Cross-Border Mergers of Undertakings (Merger Directive) from 2005 and the Directive on the Establishment of European works councils (EWC Directive) from 2009 could also be included. The consultation procedure plays a central role in all of these Directives. What does the word "consultation" mean? If one wished to cast all labour legislation in the same mould, there would have to be one consistent definition for the word consultation. The question arises in each European works council: “Song and dance act” or real negotiations on substantial matters with transnational importance? If consultation is interpreted in the French sense, the employer cannot implement any measures until the employee representatives have rendered their "opinion". By using this concept intelligently, negotiations can take place behind the scenes before the rendering of any opinion (see report in EWC News 3/2011). In the default provisions of the SE Directive, consultation is not defined as a "coffee talk" but requires that the parties meet "with a view to seeking agreement". Will this become the blueprint for all of these Directives? Forthcoming event: How to consult properly? These recent developments in European labour law will be on the agenda of the annual Conference for European Works Councils and SE works councils on 26 January 2015 in Hamburg. On the second day, the 27 January 2015, a short seminar will be held for the consultation process. The new European Parliament was elected on 22 to 25 May 2014. The Christian-democratic parties continue to form the largest parliamentary group, while the social-democrats are only slightly smaller. The "grand coalition" in place for many years will remain. The relationship between them is now more balanced since the Christian democrats lost a substantial amount of votes and the Social democrats remained stable. In other words: the social-democrats have gained somewhat more weight. By designating the candidates running for election, for the first time, the choice of the new commission’s president was pulled out of the backroom of the heads of state and governments into the public spotlight ("parliamentarised"). This empowerment of the elected members of parliament was already apparent during the hearings of candidates for positions in the commission: several of them were turned down. The new commission’s term-of-office will begin on 1 November 2014. Improvements in labour legislation now stand a better chance than during the last term-of-office, whereby some initiatives did find a majority in Parliament, but were not carried forward by the EU-Commission. These include the legislative initiative on managing restructuring ("Cercas report") from January 2013. The Commission’s lack of action led the European Trade Union Confederation (ETUC) to file an official complaint with the European Union’s Ombudsman (see report in EWC News 3/2013). The "Händel report" from September 2013, on the legal safeguarding of transnational company agreements is currently also on ice. The Flemish Christian democrat, Marianne Thyssen, will take on a portfolio which is particularly important for works councils. As a lawyer she was active for many years in a Federation of small and medium-sized enterprises, before being elected in 1991 to the European Parliament. Her priorities are the revision of the EU Working Time Directive, which failed in December 2012 (see report in EWC News 4/2012) and the transposition of the Posting of Workers Directive. Unions welcomed her nomination. A works council seminar will be held in Brussels from 23 to 26 March 2015, on the subject of transnational company agreements. Attendance to a meeting of the European Parliament’s employment committee is also planned. Following parliamentary (Reichstag) elections, a red-green minority government took office on 3 October 2014. Stefan Loefven, a former trade unionist and chairmen of IF-Metal from 2006 to 2012, was elected as Prime Minister. For the first time since 2006, the Social Democrats once again elected the head of government in their homeland. Previously, Sweden had nearly always been governed by social democrats since 1932 with only short interruptions. The new government aims at achieving the lowest unemployment figures in Europe before 2020. Two points from the government’s program are particularly interesting for employee representatives also on an international level: the government wants to impose strong data protection regulations throughout the EU and in the future all employees on Swedish soil are to be paid according to Swedish terms and conditions. A ruling of the European Court of Justice from the year 2007, which had declared a strike of the Swedish Construction trade union as illegal, should therefore be revised. At the time, the labour dispute was aimed at enforcing Swedish collective terms and conditions on a Latvian company who posted subcontractors to Sweden and paid them according to Latvian conditions (see report in EWC News 4/2007). The Swedish trade union was condemned to pay substantial damages. The conservative government at that time transposed the court ruling into Swedish labour law, which was condemned in February 2013 as a violation against fundamental labour rights by the International Labour Organization (ILO) in Geneva. The ILO demanded the abrogation of any restrictions on the right to strike (see report in EWC News 1/2013), to which the new government will now comply. Since 11 October 2014, the Kingdom of Belgium is being governed by a liberal Christian-democrat coalition with the participation of Flemish separatists. The era of "grand coalitions" is therefore over, since the socialists are no longer represented in the government, for the first time since 1988. One of the most important agenda items of the new coalition is the raising of the pension age from 65 to 67 years. The trade unions with their high membership figures in Belgium and who, in previous general strikes, were able to much more substantially mobilize than their allies in France, have already announced demonstrations. The first demonstration took place on 23 September 2014 in Brussels, when the coalition negotiations were still running. On 1 January 2015 Lithuania will introduce the euro. The former Soviet republic is the last of the three Baltic countries to join the monetary union. The euro was already introduced in Estonia at the beginning of 2011 and in Latvia at the beginning of 2014. Originally Lithuania wanted to make the change in 2007, but just missed meeting the admission criteria at the time. All EU Member states with the exception of the United Kingdom and Denmark are contractually obliged to introduce the euro. However, at present, none of the seven countries; Bulgaria, Czech Republic, Croatia, Hungary, Poland, Romania and Sweden are in a position to fulfill all criteria. In April 2014, Nokia’s mobile telephone division was acquired by the US group, Microsoft. The division operates as an independent subsidiary under the name Microsoft Mobile and still has its headquarters in Espoo (Finland). Previously in July 2013, Siemens had sold its 50%-share in the telecommunications and network service provider, Nokia Siemens Network (NSN) to Nokia. Since July 2014, NSN has been fully integrated into the Finnish group under the new name Nokia Networks. Up to then, Microsoft still did not have a European works council. In contrast, Nokia, as a pioneer has had such a body in place since 1993 which continues to operate on a "voluntary" basis and is not subject to the EU Directive. In 2010, negotiations for the establishment of a EWC at NSN fell through and a default EWC was established (see report in EWC News 3/2010). In 2012, it succeeded in obtaining extensive consultation rights following complaints filed with the Finnish Ministry of Labour arbitration board ("Co-operation Ombudsman"). This was the first and till today, one and only court ruling in Finland, made on EWC matters (see report in EWC News 4/2012). Microsoft Mobile now uses Nokia’s old EWC agreement dating from 1993, which was amended shortly before the takeover with an additional article: the agreement will continue to apply, as long as there exists no better EWC agreement within a new group. This article, which was considered as a safeguard by employee representatives, may however, on the other hand, have legally negative consequences. As such, the legal right to a complete renegotiation according to article 13 of the new EU-Directive has hereby been overridden (see report in EWC News 3/2012). The first meeting of the Microsoft Mobile European works council took place in May 2014. It was a premiere for the entire Microsoft group. The old EWC agreement from 1993 continues to apply also to 560 employees from the Nokia business units which were not sold to Microsoft. If the entire NSN had been taken-over, the “default EWC” would have lost its legal basis and been dissolved. The former 17,700 NSN employees have therefore now been integrated into a European works council, which has a substantially worse legal situation and which was established in 1993 in a completely different environment. Central management is furthermore refusing to integrate 1,600 employees from another division. An article 13 request according to the new European Directive has also been made impossible for this EWC due to an article which was added to the agreement by the, at-the-time, Nokia employee representatives, before the takeover by Microsoft. It can be clearly seen from this example how complex the legal impact of restructuring can be. Often the potential consequences of undersigning an article can not be precisely predicted and after such restructuring the people involved both on employer and employee sides are no longer the same. Nevertheless the old agreements are applicable. The Microsoft/Nokia example will be on the agenda of a EWC seminar to be held from 4 to 7 May 2015 in Helsinki. The program is currently under preparation. In April 2014, the world’s two largest building materials manufacturers, Holcim (Switzerland) and Lafarge (France) announced their intention to merge. The new company LafargeHolcim is to have its headquarters in Switzerland and with its 140,000 employees world-wide will make a 30 billion € annual turnover. Both companies have a EWC with extensive activities and with independent social policies, e.g. in health and safety (see report in EWC News 3/2011). In Lafarge it was established in 1994 under French jurisdiction and Holcim has a Euro-Forum in place since 1996 under Belgian legislation. The French-tailored Lafarge EWC is particularly active and already reached an agreement with central management on 22 May 2014 on the Information and Consultation procedure during the different stages of the merger: a so-called "method agreement", which is frequently implemented in France also by local works councils. The official consultation procedure began on 19 June 2014 in an extraordinary meeting of the EWC. An external consultancy firm commissioned by the EWC is already examining the possible consequences on jobs per country and per business unit. The EWC opinion is however only expected in one year. On 22 July 2014 the select committees of both councils met in Brussels to discuss the current situation. Management’s lack of communication on possible job losses came under criticism. Report on Lafarge "method agreement"
ZF Friedrichshafen announced on 15 September 2014 its acquisition of the US-company TRW Automotive, which is to be completed in the first half of 2015. ZF Friedrichshafen is the third largest German automobile supplier and its 72,000 employees are located in 26 countries. ZF will expand to double its size through the merger. First of all, TRW is to be integrated as an independent division within ZF. There is no fear of job losses. The ZF works councils would like to condition their approval of the merger on solid financial plans, but can however see an undeniable industrial logic behind it. Three TRW plants are being sold to the US group, Federal Mogul and will not be transferred to ZF. Both companies have a European works council: the automobile supplier at Lake Constance since 2000 under German jurisdiction and the US automobile supplier since 1997 under British legislation. For TRW Automotive the main European employment focus is also in Germany and the EWC chairman comes from the Koblenz plant. If no special arrangement is concluded with central management then the TRW EWC will be dissolved in spring 2015. This can only be avoided by resorting to article 13 of the new EWC Directive. In this case both councils would continue to exist for up to an additional three years, until a completely new EWC agreement is prepared by a Special Negotiating Body (SNB). As a consequence of the merger ZF will transfer its 50%-stake in the joint venture ZF Lenksysteme to the Bosch group. The ZF Lenksysteme EWC established in December 2013 (see report in EWC News 1/2014) will therefore be dissolved and in the future its workforce represented by the Bosch EWC. 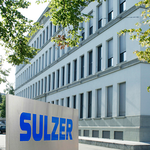 A new EWC agreement for Sulzer was signed on 3 June 2014 in Winterthur under German jurisdiction. The EWC was established in 1996 on the basis of a "voluntary" agreement and until now, was not subject to EU-legislation. Items which are hardly covered in other companies are covered in extensive paragraphs in Sulzer. The management has built-in all the legal eventualities and obtained the signature of employee representatives for the non-application of EU-legislation in the case of "changes in structure" (see report in EWC News 4/2011). Particularly noticeable is the absence of any definition of Information and Consultation. To some extent the standards of this EWC agreement fall even below the level of the old EU Directive. If there are no representatives in a country, then the board can only communicate in writing with the workforce. There are no provisions for visiting sites. The employer can reject requests for training at any time, even if it proves necessary. On the positive side, there is the possibility of establishing EWC working groups on special topics. The agreement covers approximately 6,000 employees in Europe, including 1,700 in the United Kingdom, 1,100 in Switzerland and 900 in Germany. A revised version of the EWC agreement for Air France-KLM was signed on 12 June 2014 at the Paris Roissy airport. Although the French generally belong to the leading European group of EWC agreements, this document sets an even higher standard, similarly to the insurance group Axa (see report in EWC News 2/2009). Central management hereby commits itself to completely finish consultation of the EWC in all strategic matters before implemented any measures. The EWC is composed of 39 members including Switzerland, eleven from France and seven from the Netherlands. They meet twice annually. A seven-member board deals with the day-to-day administration, along with a "Group Strategy Commission" of five members. The EWC can establish further working groups. Each representative has a right to eight days training per term-of-office and to on-site visits. The current EWC was established in 2006 following the merger and has already been actively involved with pan-European restructuring (see report in EWC News 2/2013). A new EWC agreement was signed for Bombardier on 2 September 2014 in Berlin. The Canadian company which manufactures business jets and rail-mounted vehicles has had a EWC since 1998 under British jurisdiction. The council is limited to 30 members and meets once per year. The five member steering committee meets twice annually with central management. A right to training as well as the definition of Information and Consultation have been integrated from the new EU Directive including the recital 16 from the preamble on transnational competence (see report in EWC News 1/2013). On termination of the EWC agreement, the EWC remains in office and the subsidiary regulations of the British EWC legislation (TICER 2010) come automatically into force. Situations such as observed in the major bank, HSBC and in the IT-technology group, Hewlett-Packard can hereby be avoided (see report in EWC News 1/2014). We have put together a selection of EWC agreements on a webpage for download. A completely revised version of the SE participation agreement for Allianz, the insurance group, was signed on 3 July 2014 in a meeting of the SE works council in Trieste. In October 2006 it was one of the first major companies to have adopted the European Company (SE) legal form. At that time negotiations on the SE agreement came under close scrutiny in the specialized community. The revision of the agreement became necessary, due to the growing importance of cross-border business units since 2006 and individual subsidiaries had been integrated into the legal structure of the SE. Representatives from these units have therefore been newly integrated into the Holding’s SE works council. The competence of the SE works council in relocation of subsidiaries or business units to non-European countries (off-shoring) has been more precisely defined. The SE works council has the right within four years after a relocation, not only to request information but also to visit the non-European sites under specific circumstances. Information and consultation rights have been extended to cover transnational changes to employment, working conditions and working environment. The SE works council members have better conditions for carrying out their duties (communication with local levels, more means, and even better protection against dismissal). So far the Allianz SE works council is one of the few which has actually used its initiative rights from its SE agreement: in May 2011 it signed with central management pan-European guidelines on work-related stress (see report in EWC News 2/2011) and in June 2012 on lifelong learning. The automobile supplier, Eisenmann, headquartered in Böblingen (near Stuttgart) with 3,800 employees world-wide has been operating since 17 September 2014 as a European Company (SE). By means of the SE conversion it was not only possible to avoid the separation into management and supervisory boards (dualistic model) but it was also able to keep the newly established board of directors (monistic model) free from employee representatives on a long term basis. Eisenmann has two sites in Germany as well as locations in France, Italy, Spain and in the United Kingdom. On 24 March 2014, after only two months, the Special Negotiating Body (SNB) concluded a SE participation agreement with central management. The SE works council was established almost identical to the subsidiary regulations of the German SE participation act, both in relation to membership numbers, the frequency of meetings as well as to the consultation procedure. Additionally there are initiative rights in areas of occupational safety and equal treatment. On 15 October 2013, Deutsche Bahn’s (German Railway) central management informed the European works council of their plans to establish a Shared Service Center. Parts of accounting are to be relocated to Romania with a cutback of 250 jobs in Germany. For the EWC this represents an issue of the utmost importance. It would like hereby to specifically exploit the consultation rights which were extended in the EWC agreement in March 2012 (see report in EWC News 2/2012). In an extraordinary EWC meeting held on 20 and 21 May 2014, central management committed to a set of minimum social standards for the employees involved. The EWC brought up the topic again at a meeting in Vienna on 4 September 2014, since so far, the promise had not yet been kept. The real concerns hereby were replacement jobs, skills development, early retirement as well as financial compensation. Similar agreements have already been reached in other companies on a European level (see report in EWC News 1/2010). A pan-European agreement on industrial health and safety was signed for Suez Environment on 12 June 2014 in Barcelona. The French group with 65,000 employees does business in waste and water management. A European works council was established in July 2013 following the group’s spin-off from the former parent company GdF-Suez (see report in EWC News 3/2013). The EWC has its own industrial health and safety committee which meets twice annually and is responsible for monitoring the agreement. An agreement on gender equality in the workplace was concluded on 16 September 2014 in Paris between central management and the European works council of BNP Paribas and two European trade-union federations. The agreement covers topics such as equal pay, occupational training and work-life balance. The EWC established under French jurisdiction in 1996 had already negotiated a pan-European social charter in July 2012 (see report in EWC News 3/2012). A third agreement on psychosocial risk prevention is in preparation. There has been a works council in all the German distribution centers of the US e-commerce retailer since June 2014 and since 28 August 2014, the first parity-based supervisory board. The ver.di trade union was nevertheless unable to enforce a bargaining recognition, although for months there were strikes over and over again - even during the Christmas business period. International trade-union federations agreed on a global campaign against the working conditions in the company at a meeting held on 17 July 2014 in Berlin. There were also strikes in France. The company’s management policies are publicly criticized in England and the USA. In May 2014, the International Trade Union Confederation (ITUC) elected the managing director of Amazon as the world’s worst employer. At a meeting held on 11 June 2014 in Geneva, central management of Danone, the French food-products group informed its European works council about its plans to close three production plants for dairy products in Italy (Casale), Hungary (Budapest) and Germany (Hagenow). There will consequently be a total of 350 job losses by the middle of 2015. Danone belongs to one of the pioneers of European works councils, since it had already established a similar type of council in 1988. In an annex to the EWC agreement in 1997, central management committed itself to suspend any plant closures or relocation of production for at least three months to enable employee representatives to seek alternatives. Danone concluded an anti-discrimination agreement in 2007 (see report in EWC News 4/2007) and since 2009 the EWC meets regularly with the employee representatives from other parts of the world (see report in EWC News 4/2009). The global trade union federation for skills and services, UNI, has recently succeeded in concluding a framework agreement for an entire industrial branch in North and South America. Generally speaking, such agreements are concluded only with individual multinational groups. They include the respect of international labour standards, freedom of coalition, promotion of collective bargaining, industrial safety. The Banking employers’ association, Felaban, signed the agreement on 26 June 2014 in Buenos Aires (Argentina). It is the first of its kind in the American financial sector and covers more than 500 banks in 19 countries. On 28 August 2014, the employees of a small service unit from four Federal States in Northwest USA voted in favor of establishing employee representation. Siemens management had previously tried putting pressure on to prevent the ballot. The deadlock could only be ended by resorting to the international framework agreement concluded in 2012 (see report in EWC News 3/2012) and through the involvement of the German works councils and IG Metall. Similar tactics can be observed over and over again, as most recently for example, in February 2014, at Volkswagen in the USA (see report in EWC News 1/2014). Employee representatives from John Deere coming from the USA, Brazil, India and several European countries met on 4 and 5 September 2014 in Mannheim, with a view to strengthening their global network and co-operation with the European works council. The Mannheim plant is largest production site outside the USA. The EWC, established in 1996 according to a “voluntary” article 13 agreement under German jurisdiction has also its headquarters there. The forthcoming coming-into-office of the new EU-Commission and the disputed Transatlantic Trade and Investment Partnership (TTIP) are currently two good reasons for examining the relationships between Corporations and Politics more closely. The Corporate Europe Observatory in Brussels does research work on lobbying in EU-politics and provides awareness. The European Agency for Safety and Health at Work (EU-OSHA) started a two-year campaign in April 2014. The goal is it to promote in all European countries, procedures to minimize work-related stress and psychosocial risks. Information on the subject is available in 25 languages on the website. The independent Advisory, Conciliation and Arbitration Service (ACAS) provides information on its website about new and forthcoming developments in British labour legislation. ACAS is sponsored by the government as a public institution and provides support to employers, trade unions as well as to individual employees. ACAS free-of-charge arbitration has been compulsory in individual labour litigation since April 2014 and only thereafter can court proceedings be initiated. The Cologne Institute for Economic Research publishes its Trade-Union Mirror four times annualy. It contains short reports, facts and trends relating to trade unions. Regularly it examines individual countries in more detail, including recently the Czech Republic, Poland, the United Kingdom and the USA. All reports may be downloaded, only in German however, from the Institute’s website. We have arranged many further interesting websites into a collection of links. This commentary which analyses the EU-Directives on employee participation and their transposition into German labour legislation was published in September 2014. 344 pages and almost half of the book deal solely with the revised German EWC legislation. Further chapters examine employee participation in the European Company (SE) and in the European Cooperative Company (SCE) as well as participation issues in the case of cross-border mergers (EU Merger Directive). Whereas there is a multiplicity of legal commentaries from employer-friendly authors on SE legislation, this is rather an exception for European works councils. Two commentaries on the German EWC legislation close to the trade-unions had recently been released (see report in EWC News 1/2014). The Austrian Association for Trade Union Training (VÖGB) in collaboration with the Chamber of labour has released two new publications: in April 2014, an introduction to the European Union and in September 2014 on globalization matters. The first brochure describes both the emergence of the European Union, the Eastern European countries’ accession process and presents the EU institutions. Special emphasis is put on the social Europe. The second brochure covers the international networking of capital and describes union counter-strategies. Both brochures are available free of charge, but only in German. In May 2014, the European Commission published a manual which examines the applicable legislation for cross-border employer-employee relationships in the European internal market and in Switzerland. Separate chapters are devoted to the posting of employees into another EU country, the pursuit of activities in two or more member states as well as rules for determining the country of residence. The 61-page manual is available in 23 languages. We have gathered together further documentation into a collection of literature. 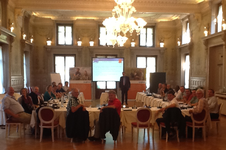 The bi-annual meeting of Syngenta’s European works council was held on 4 and 5 September 2014 in Monthey, Wallis. The company produces pesticides at the site. The EWC Academy delivered training on labour relations in Europe and on the characteristics of a correct consultation procedure. Syngenta has its headquarters in Basel and has had a EWC under British jurisdiction since 2001. In November 2010 the agreement was adapted to the standards of the new EU-Directive. Since there had been European forums already since 1995 in the fore-running companies, the status of a "voluntary" agreement according to article 13 of the old (article 14 of the new) EU-Directive was maintained. For settlement of disputes a specific company regulation was made, for which the Central Arbitration Committee in London has no responsibility. On 10 September 2014, a plenary meeting of the Airbus European works council took place in Toulouse. Shortly before the beginning of negotiations on the conversion into a European Company (SE), the EWC Academy had been commissioned to prepare options for the structure of the future SE works council and to put together "best practice" examples from other SE conversions. The Special Negotiating Body held a constitutional meeting on 22 and 23 September 2014 in Amsterdam, where Airbus has its official headquarters. It is composed of 24 members from 16 countries. The EWC is otherwise only made up of the four core-countries France, Germany, Great Britain and Spain. The German press had already anticipated the result of the negotiations in January 2014: "Airbus does without employees on the board of directors". This is only possible due to special legislation in the Netherlands which encourages avoidance of employee participation on the board (see report in EWC News 4/2013). Around twenty works council members from three credit insurers met for their annual conference from 15 to 17 September 2014 in Koblenz. Apart from industry-specific discussions, this time the different models and cultures of employee participation in other EU-countries and cross-border courses of action for works councils were also covered. Hereby, the EWC Academy provided input. In the insurance industry, apart from SE conversions, cross-border mergers under the EU Merger Directive are also to be observed (see report in EWC News 2/2009). The French company, Coface, folded its national supervisory boards into one single transnational supervisory board with employee participation in 2012 and this also took place in the Allianz subsidiary Euler Hermes mid-2014. "Song and dance act" or fully-fledged European works council? The SE works council of tesa, the adhesive tape manufacturer, held its bi-annual meeting in Lübeck from 13 to 17 October 2014. With the assistance of the EWC Academy the representatives were able to develop the key elements of a structured consultation procedure. Central management representatives from several countries also took part in the workshop. tesa concluded a SE participation agreement in 2008 (see report in EWC News 4/2008). The EWC Academy and its forerunner organization have been organizing and delivering conferences and seminars for the members of European works councils, SE works councils and special negotiation bodies since January 2009. So far 574 employee representatives from 222 companies have taken part including many of them for several times. This represents around 19% of all transnational works council bodies in Europe. In addition there are numerous in-house events and guest lectures given to other organizations. For the fourth time already a conference is being held on 23 and 24 October 2014 in London. The meeting will be simultaneously interpreted. It is particularly suitable for European works council members, who are under British jurisdiction and for employee representatives wishing to familiarize themselves with the British system. The following topics are on the agenda from 28 to 30 October 2014 in Würzburg: Legal subtleties of a EWC agreement, past EWC case-law and application of the new EU-standards in cases of legal doubt. The seminar will be simultaneously interpreted (German/English). There will be separate working groups for the German and British EWC legislations (TICER 2010). The global networking of IT systems is continually pushing forward and personnel data is processed internationally and throughout corporations. But what are the possibilities for works councils to control or limit the communication of data within the company? This subject will be covered in a seminar being held from 3 to 5 November 2014 in Hamburg (with interpretation German/English).